Today we focused on Sicily and we stayed true to the tradition of having lots of fried food and using salty sheep-milk pecorino, eggplant, tomato, and olive oil. Our antipasto was arancini di riso al formaggio or arancini stuffed with melted mozzarella cheese, which I was pretty excited to learn how to make. First you make risotto, and we used a fresh beef broth that Serena, our teacher, made with beef bones placed in cold water with carrots, celery, and onion and then brought to a boil. She explained that when making broth, you always start with cold water so that all the flavor will leach out of the meat into the broth; conversely if you intend to eat the meat, you should always cook it in hot water or a hot oven so that it contracts and retains its juices and flavor. 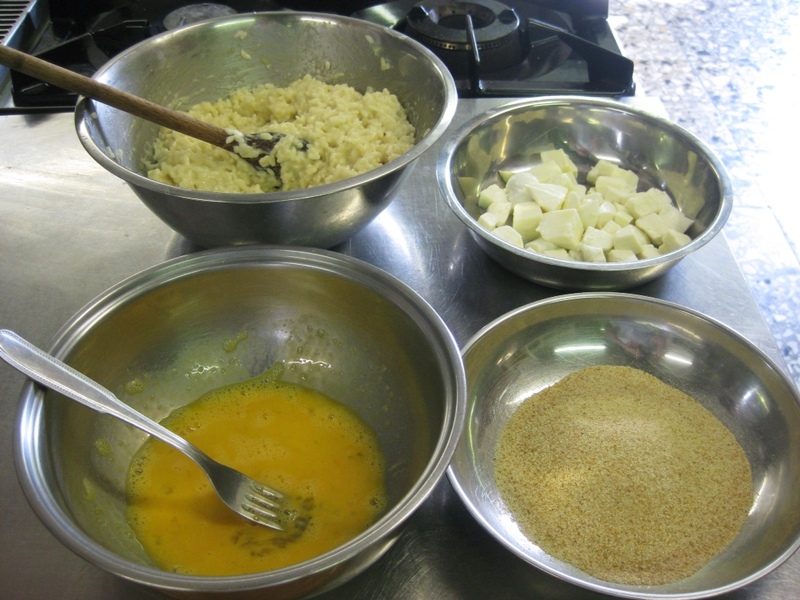 Once the rice was finished, we mixed in pecorino and parmesan cheese, an egg, and lots of butter – the dish doesn't need much salt since the cheese is pretty salty. 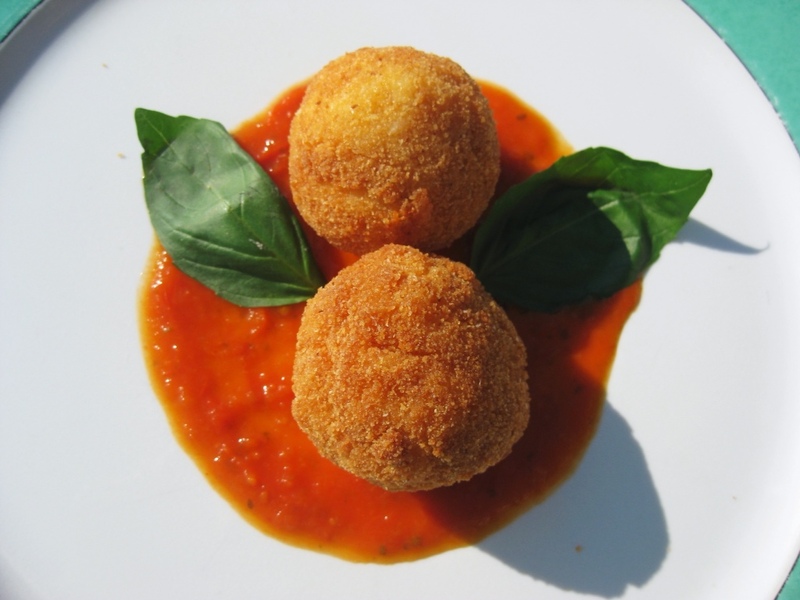 Once the rice was cool we set up a station with a bowl of rice, a bowl of whisked eggs, a bowl of breadcrumbs, and a bowl of cubed mozzarella and proceeded to construct the arancini. First, we made mozzarella stuffed rice balls, then roll them in breadcrumbs, then egg, then breadcrumbs again and then fried them. The trick is to make them small and round, which is actually pretty challenging with the sticky rice. Not surprisingly, they were gooey and delicious. 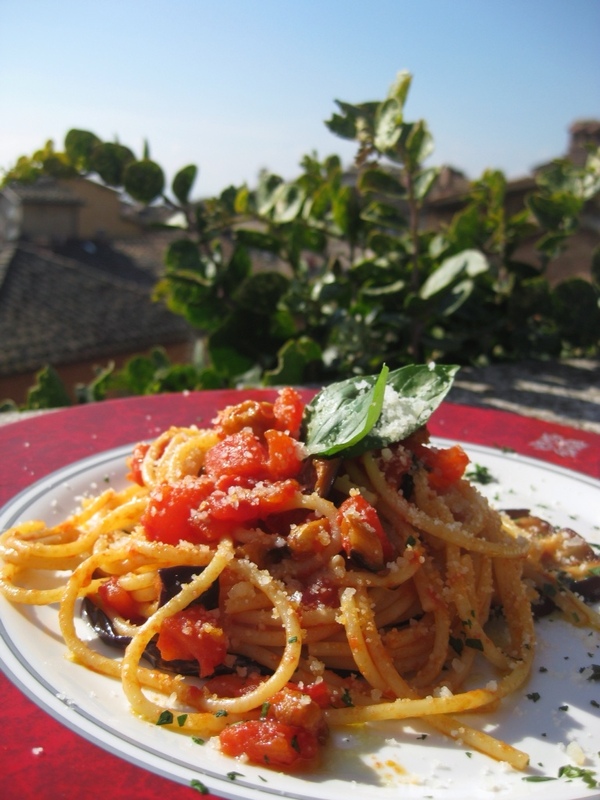 The primo piatto was spaghetti alla norma, which Serena told us was named in honor of the famous Bellini opera. 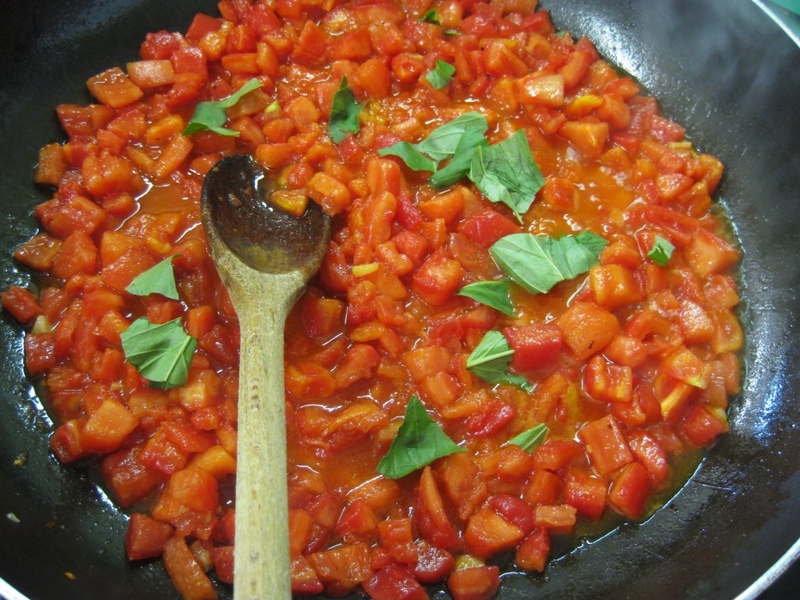 We made a fresh tomato sauce by quickly boiling then peeling and dicing the tomatoes and sautéing them with garlic, olive oil, peperoncini flakes, and basil for a half hour. 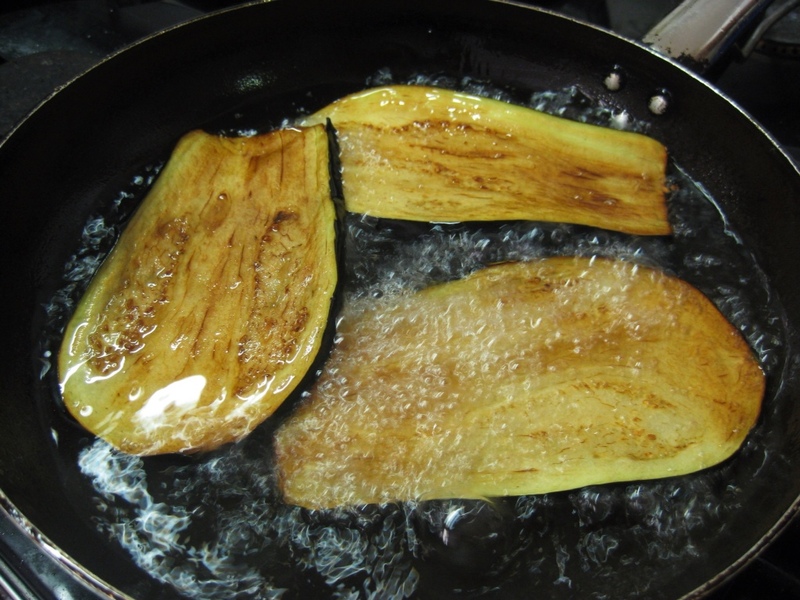 In parallel, I thinly sliced an eggplant and fried the slices until they were deeply golden brown, and then also fried cubes of eggplant that went into the tomato sauce. 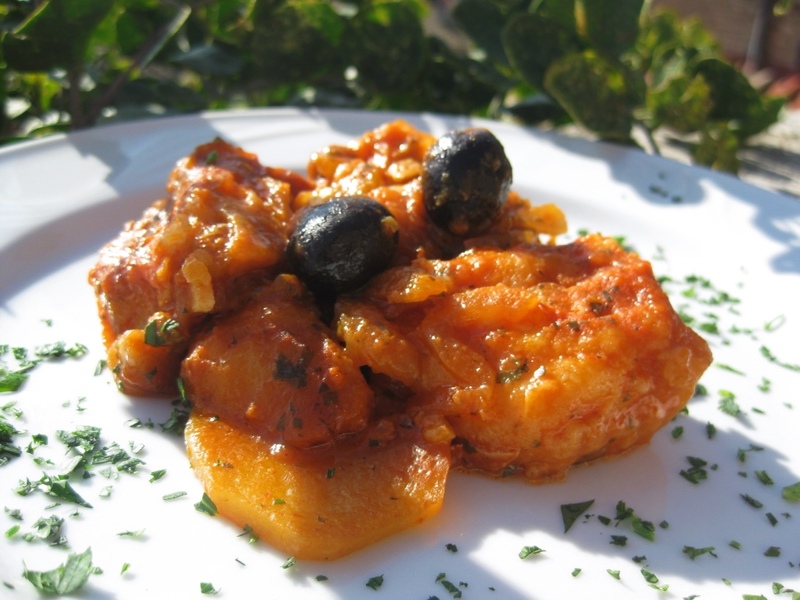 We put the cooked pasta into the tomato sauce and then served it on top of the fried eggplant – a very delicious twist on tomato sauce and a flavorful (if slightly greasy) way to make eggplant. Our secondo was baccala alla siciliana – this is our third or fourth time making baccala in the class and Serena told us that it is one of the most popular fish in Italy, used differently across each region because it was easy to preserve in the days before refrigeration. 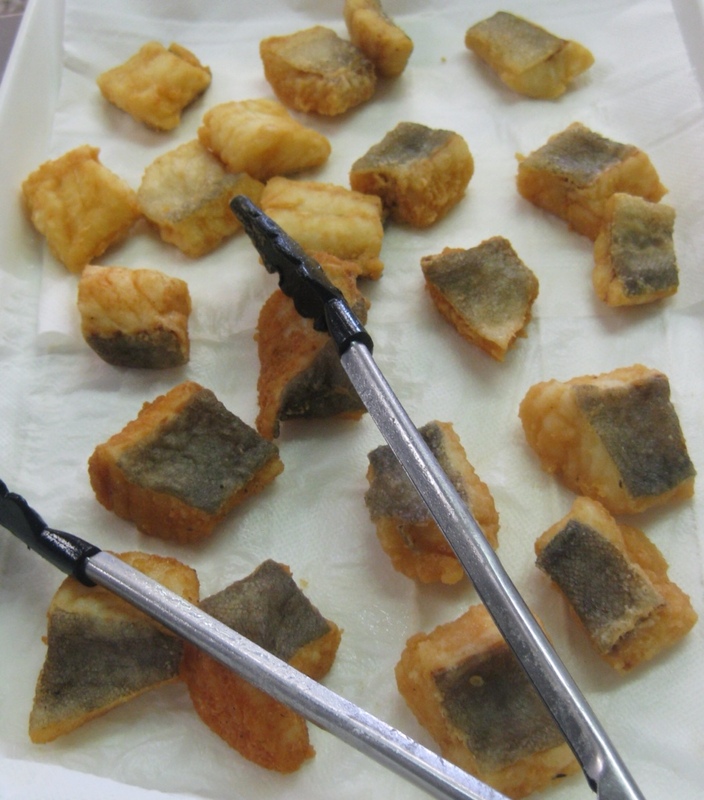 We cut the baccala into pieces, dredged them in flour and then fried them (in case you are keeping track, we did indeed fry something in every course of the meal). 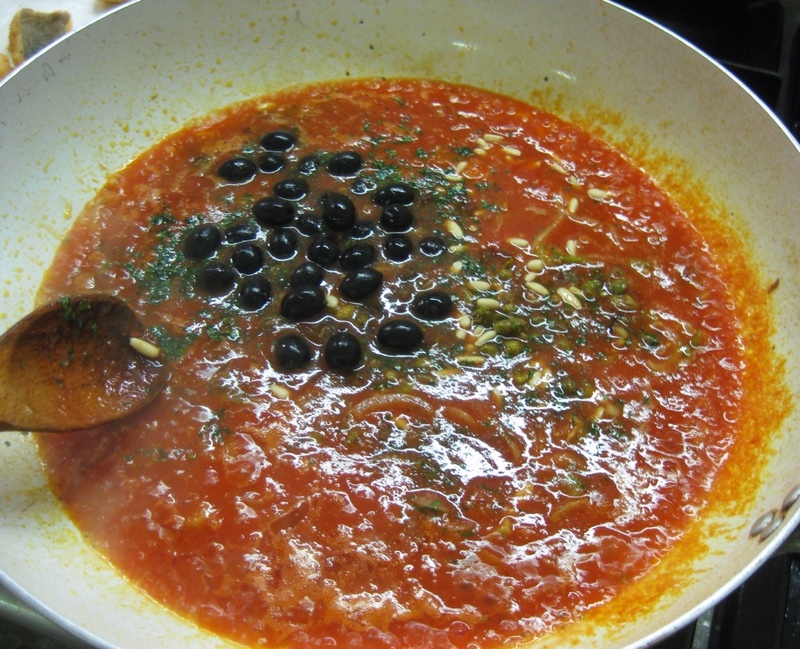 We made a sauce of sautéed onions and celery, added tomatoes, capers, pine nuts, parsley, olives, and potato slices and simmered for a half hour, adding the baccala in near the end. 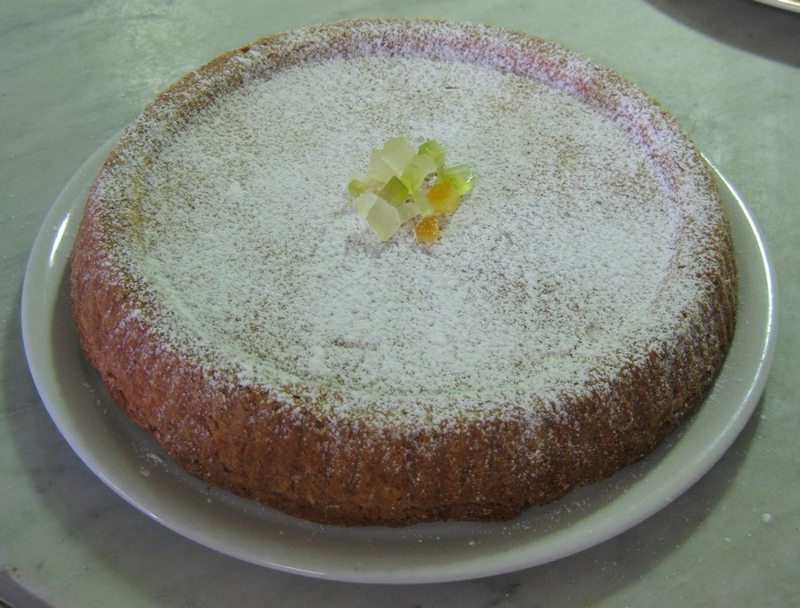 Dolce in Sicily typically includes dried or candied fruit, raisins, and pine nuts and we stayed true to that tradition with a torta di ricotta. 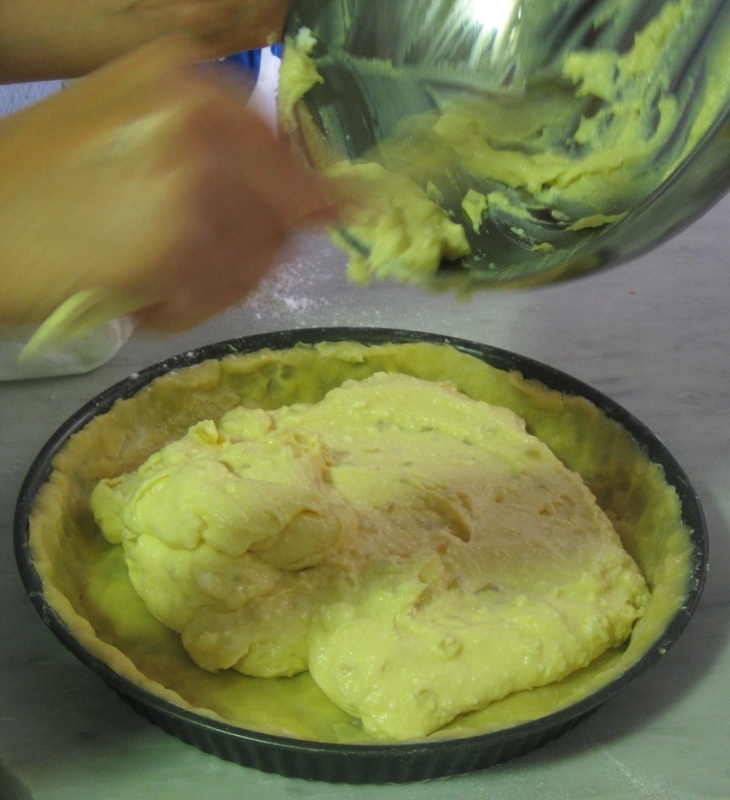 Similarly to what we've done most days, we made a butter-based dough and filled it with a vanilla custard that we mixed with ricotta, brandy, and candied fruit. I found it a bit sweet but Serena said that most ricotta based desserts actually taste better on the second day, so I'll have to wait and find out!